If you watched Ironside this week on NBC, you probably noticed the differences between the new detective show and the original that preceded it. The first show ran from 1967-1975 and starred Raymond Burr, best known for his starring role as lawyer Perry Mason in the '50s and '60s. The current show — producers prefer to call it a remix rather than a reboot — stars Blair Underwood, who is Burr's opposite in almost every way. Burr's chief detective, Robert T. Ironside, who was injured while on duty, was careful, deliberate and stoic about being a paraplegic. Underwood's Ironside is volatile, spontaneous and mad as hell that a bullet also has landed him in a wheelchair. The original Ironside was set in San Francisco, and the city was as much a character in the show as the detective was. The remix moves the action to New York, which so far seems incidental. Burr (who died in 1993) is white; Underwood is black. The things that remain the same in both series are the wheelchair Ironside uses and the fact that both actors chosen to portray him are/were fully ambulatory. And that angers a number of actors who use their wheelchairs on and off screen. They say no offense to Underwood, but the time for having actors without disabilities play actors who have them is past. "I know this makes a lot of people upset, but I liken it to white actors going onstage in blackface," says Larry Sapp. Sapp was a successful music video producer for years before an injury left him a paraplegic. But even though studios were sometimes interested in his scripts — which usually featured an actor, like himself, in a wheelchair — they wanted to change the principal character.
" 'We can make the guy in the chair a friend or something — but the principal?' " Apparently not. 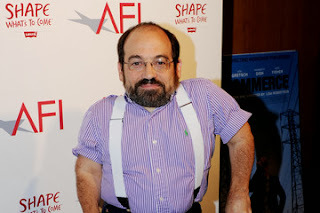 "Actors with a disability [are only allowed to] play characters with a disability," Sapp says. "But then when those characters with a disability come up, they only hire able-bodied actors." It's a hugely frustrating Catch-22. "We don't have a chance to honestly portray ourselves in TV and movies." So we see Tom Hanks as developmentally disabled Forrest Gump. Or Tom Cruise as Vietnam veteran Ron Kovic, who wheeled his way into war protest history. Or Daniel Day-Lewis as Irish poet and artist Christy Brown, who was able to use a few toes of his left foot to write and paint. All three men were nominated for Oscars for those performances. And they're part of a long line of actors, from Patty Duke's depiction of Helen Keller in The Miracle Worker to Kevin McHale's portrayal of Artie Abrams, a paraplegic high school student in Glee, who play disabled but who are not. Actors who actually have disabilities should be considered for those roles, says Sapp. So he created to advocate for them. Teal Sherer is a paraplegic actor and says she doesn't want roles reserved for her because of her disability — but she does want to get a call to read for parts, including ones not specifically intended for actors with disabilities. "If we lose an opportunity to audition, then we lose an opportunity to move forward in our career," she explains. Another episode, "Two Shades of Teal," shows how the industry's well-intentioned but slapdash efforts at inclusiveness sometimes pit one kind of diversity against another. Sherer explains to a friend that a diversity showcase is when "everyone in LA except the cast of Friends" get called in to audition. So she's competing against a whole gumbo of difference — ethnic actors, actors in wheelchairs, little people. Scherer and others admit there has been some progress. Peter Dinklage won an Emmy and a Golden Globe for his portrayal of Tyrion Lannister, the small son of a ruthless noble in HBO's hit Game of Thrones. Dinklage's highly nuanced interpretation of Lannister — his sharp social observation and archly bitter resignation to being a dwarf — have made him a star. NBC has committed itself to airing three series starring disabled characters this year: In addition to Underwood's Ironside, the network is airing Growing Up Fisher, a mid-season family comedy that features J.K. Simmons (The Closer) as a newly divorced father who is blind. And there's The Michael J. Fox Show. It features Fox (Family Ties, Back to the Future) as a New York TV news anchor who leaves the business when his tremors from Parkinson's disease become evident, only to return to it after he's driven his family crazy for several years as a Type A, stay-at-home dad. Fox is the only actor among the three who actually has the disability he's portraying on television. But Danny Woodburn (pictured), an actor and disability activist, says that has to change. Actors with disabilities are less willing to be marginalized, he says. And their numbers are growing, which means sooner or later, people are going to have to pay attention. The U.S. Census Bureau says about 1 in 5 Americans has some kind of disability. Injured vets from the wars in Iraq and Afghanistan are swelling those numbers even more. Those numbers mean that more and more of us will have or know someone who has a disability. Given that, Woodburn says, "There's no excuse for under-representing us" on the small and large screens.